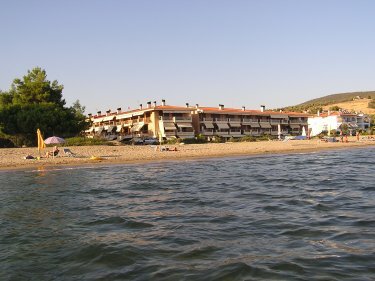 Apartment in Chalkidiki (situated between Kassandra and Sithonia). 1st line. 50 meters to the sea. The apartment territory includes a swimming pool and a parking lot. There are the supermarkets close to the apartment. Not far away from the apartment there is a large 5-star hotel with a developed infrastructure (disco bar, restaurants etc.). At the apartment's territory there is a fenced area for barbeque and a fireplace. 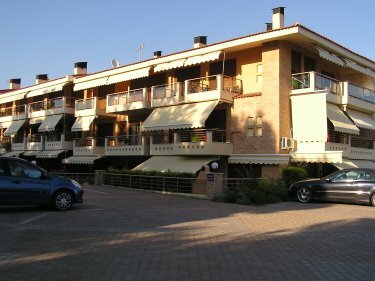 - 3 bedrooms (one for children and two for adults). All bedrooms accessories included. A drawing room + kitchen, 2 toilets. 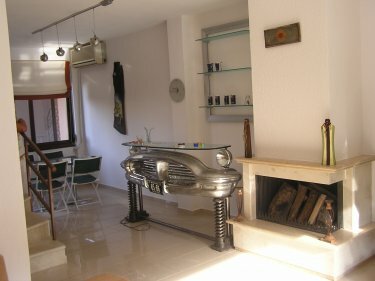 The apartment is considered for 6-7 persons at once. - fireplace in the drawing room. The beach is sandy (gold sand), easy entry (good for children).